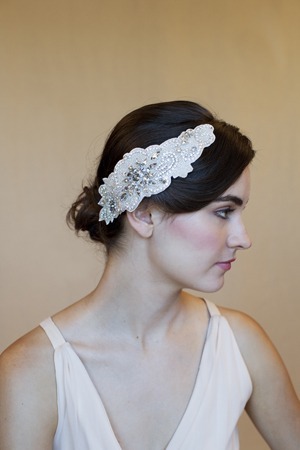 We have a wide array of accessories from custom jewelry, belts/sashes, veils, head pieces, shoes and jackets. One of the coolest things here at Janene’s Bridal Boutique is that we have an in-house custom jewelry maker. Inna Nemirovsky made jewelry for Nordstrom for more than 16 years before opening her own business. She makes the most beautiful jewelry at an amazing price. She uses real pearls and Swarovski crystals. The talented artist can look at your wedding dress and know exactly what should go with it. She is only here a few days a month so it is always good to make sure when you book an appointment we all know that you would like to visit with her. Belts/Sashes are amazing. We carry them from all of our bridal designers and also a company called Elle & Jay. We have simple and blinged to the max, whatever you can visualize with your dress we can too. 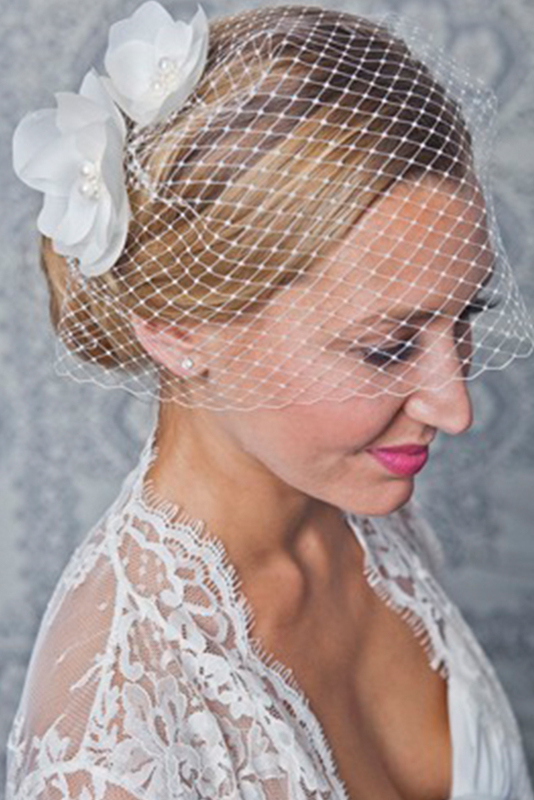 We are picky when it comes to veils and head pieces, so we only carry a few lines. There is nothing worse that cheap tulle. Wrinkles are impossible to remove. We have a beautiful selection for a great price. 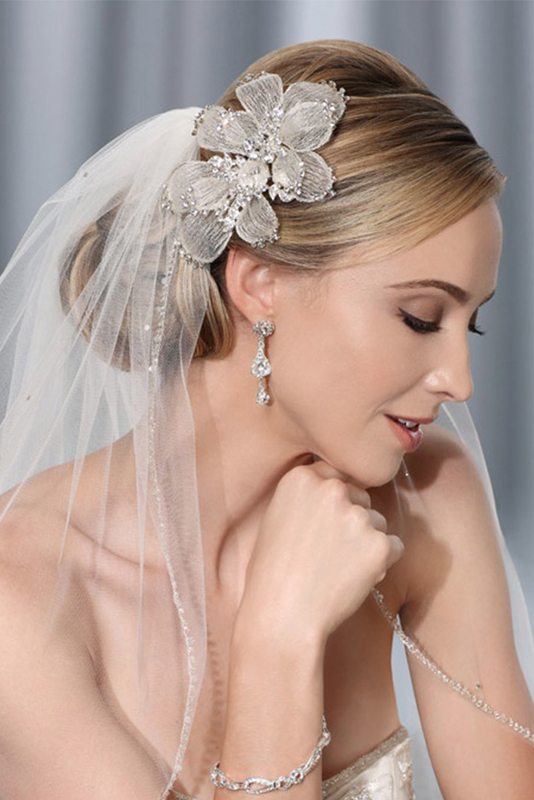 We carry Boutique De Voile, Bel Aire Bridal, Paloma Blanca and custom-made. We carry Angela Nuran shoes, which are amazing. They have designed wedding shoes that are made from the same concept as professional dancers’ shoes. They have to be gorgeous but comfortable and they are!! They will also dye to your special color. Jackets we carry from all of our lines along with some we have designed. Sometimes you just don’t want a strapless gown and we have that covered.